Taking my own advice with my partner’s birthday present, I decided to treat him to the Charlotte Symphony Orchestra’s performance of Mahler Symphony No. 5. Conducted by Christopher Warren-Green, the concert was phenomenal. 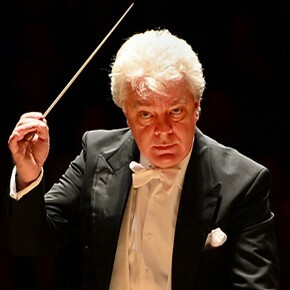 Warren-Green has been the Music Director of the London Chamber Orchestra since 1988 and conducted a private concert for the Queen’s 80th birthday. He has served as concertmaster of the Philharmonia Orchestra and had arranged and conducted the music to celebrate the marriage of the Prince of Wales and the Duchess of Cornwall. It was such a treat to watch the prestigious violinist and conductor lead the orchestra through all five movements of the symphony. Luckily, I got tickets to the far left in the orchestra seating so we could see his expressions and conducting style much better than if we had been in the middle seats. The passionate style of his conducting as well as his ability to draw not only beauty but also the rawness of emotion with each movement. The first movement (Trauermarsch: In gemessenem Schritt. Streng. Wie ein Kondukt) is a funeral march that begins with a solo trumpet triplet. With Mahler’s trumpet heavy style, I was somewhat impressed with the ability of the Charlotte Symphony Orchestra trumpet section. Mahler’s Symphony No. 5 is not easy on the chops when it comes to the brass section. I did, however, believe that the brass section needed a bit of cleaning up. There were no major mistakes that can be noted, but at certain points the trumpets seemed tired and lackluster as opposed to the confident and leading sound that Mahler was going for in his music. The strings brought out the richness of the second movement (Stürmisch bewegt, mit größter Vehemenz). With their almost dance-like sound in combination with the percussion, it was a drastic change when the basses threw in their turbulent and dramatic sound. Like a storm, I was swept away by the sheer impact this movement had. Warren-Green used large gestures to pull the sound from his players during the dramatic moments while he used more elegant gestures to create a more romantic feel during the lighter parts. Again, in the third movement (Scherzo: Kraftig, nicht zu schnell) I was not entirely impressed with the brass section. The french horns were not as light as they needed to be. They sounded a bit too heavy when this movement calls for a more delicate beginning. Also, the clarinetist was a hair sharp, but quickly adjusted to keep up with the orchestra. When the string section swept in, the movement finally fell into place and the movement as a whole was rather enjoyable. During the fourth movement (Adagietto. Sehr langsam), harpist Andrea Mumm stole the show. This was the most beautiful movement of all. With its romantic atmosphere and gentle strings, I was nearly moved to tears. Warren-Green kept his conducting light during the harpist’s solo, allowing her the freedom to express herself with wonderful precision and emotion. When it came time for the strings to have their moments, Warren-Green held his hand up to his cheek reminding the orchestra to emote through their instruments. The movement was nothing short of phenomenal and left the audience breathless and wanting more. The fifth and final movement (Rondo Finale: Allegro giocoso. Frish) was absolutely fantastic. Christopher Warren-Green’s expressions had me laughing in astonishment because he was so passionate and clearly so ready for this symphony to be finished. He knew his orchestra had done a job well done (a standing ovation that lasted approximately 8 minutes with him leaving and re-entering stage three times) and he was ready to wrap things up. Over all, I give the performance a 7/10. The conductor and soloist Andrea Mumm were fantastic, but I really feel that the brass section needed to be cleaned up. I had a wonderful evening and look forward to attending more performances in the Charlotte area.